This chapter is primarily based on a review of relevant literature, and it aims to look into the historical background of introducing the Latin alphabet in Central Asian republics (Kazakhstan, Uzbekistan, Tajikistan, Turkmenistan, and Kyrgyzstan) and in the Caucasus (specifically Azerbaijan) in the first half of the twentieth century. A total alphabet shift in these newly formed Soviet republics at that time was a fundamental change, which could be compared to the similar one in the Republic of Turkey in the 1920s yet with its own specifics. 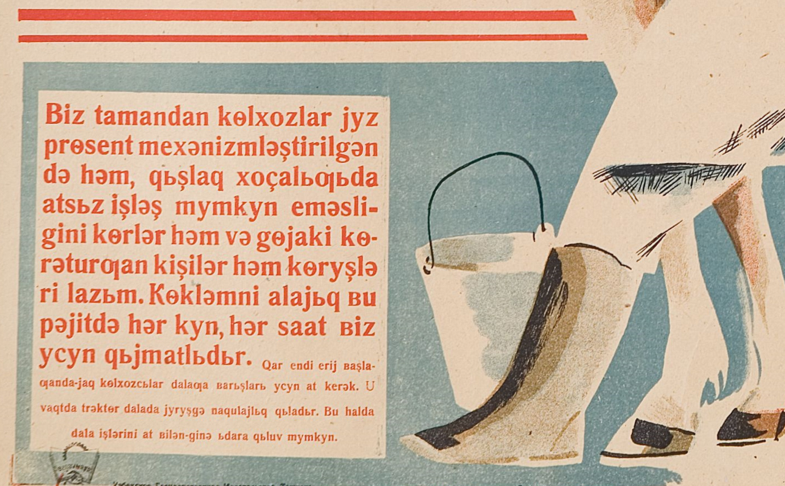 A particular emphasis is given to the process of shifting from national scripts to the common New Turkic Alphabet in the 1920s and 1930s, before it was finally substituted by the Cyrillic script. It should be noted that within this historically short period of time, the adapted Latin alphabet played an important role in nation building and elimination of illiteracy in each country. This chapter also focuses on the challenges and realities that every country involved had to face while implementing those changes. Officially announced in 2017, the plans of Kazakhstan for gradual transitioning to the Latin alphabet by 2025 initiated numerous discussions in mass media and social networks not only within Kazakhstan but also beyond as well. This transfer to the new alphabet is of interest to other countries that have had a similar experience in their recent past. Such a transition has already occurred in the republics that used to be parts of the Russian Empire and then the Soviet Union. Those are newly independent states, such as Azerbaijan in Caucasus (other former Soviet republics in the region, Georgia and Armenia, kept their traditional alphabets throughout their history) and Uzbekistan with Turkmenistan in Central Asia. Soon after the breakup of the Soviet Union in 1991, Azerbaijan, Uzbekistan, and Turkmenistan introduced and adopted the Latin alphabet. Now, Kazakhstan is implementing its announced transition to the new alphabet; Tajikistan and Kyrgyzstan are not planning to do so in the near future, although there are some sporadic discussions in their societies, for instance, in Tajikistan, to switch to Perso-Arabic script used in culturally and linguistically close Iran. 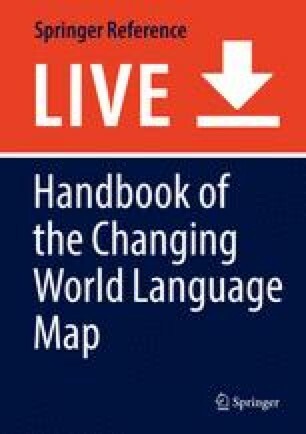 Although those countries share a lot in common in their cultural and historical backgrounds, including being a part of the USSR for almost 70 years, the attitudes and approaches to Latinization varied when the Latin alphabet was introduced, first in the 1920s for all and later at the turn of the century for some. Thus, the first decades of the twentieth century were very crucial time periods for the newly formed Soviet republics not only from social, economic, or political points of views. Those were also the years when Central Asian republics and Azerbaijan were gradually shifting from Arabic, which had been in use for several centuries, to common Latin and later to the adapted Cyrillic script. These changes, within the promoted language policies, undoubtedly influenced the national languages, their utilization and further development. Central Asia and the Caucasus had been a part of the vast Russian empire long prior to the twentieth century, yet that century particularly was a turning point as a result of the policies, such as language, educational, and socioeconomic, introduced by tsarist and later Soviet authorities. For instance, based on the first ever state-level census of 1897, only 2% of the total Kazakh population, 1% of Uzbeks, and 0.5% of Kyrgyz were actually literate and could at least sign their name (Winner 1952); the results were considerably below the average in the mainland Russian empire. According to the same source, the wide-spread illiteracy was revealed in other ways, viz., some written languages were still developing and some used Arabic script, which due to its specific vowel system was not quite suitable for Turkic languages. The latter fact was also pointed out by various linguists; for instance, Hungarian turcologist A. Vambéry affirmed that Arabic script “as material of a typically Semitic structure, is not only unfit but extremely harmful in purely Altaic languages” (as cited in Winner 1952, p. 135). Nevertheless, Arabic script brought along some advantages too; for instance, Bacon ( 1980) states that the Arabic vowel system actually helped to diminish differences in Turkic dialects; it also allowed continuing ties with Turkic-speaking nations across the vast geographic area (e.g., in Central Asia, Russian Empire, and Turkey). The Arabic alphabet was a strong connecting factor with the Islamic word. In addition, it was a common script used by Turkic, Arabic, and Persian-speaking nations and historically it was a practical tool for mutual understanding and enrichment in the fields of education, culture, science, and many others. The Soviet power brought about many fundamental changes to the region. Firstly, the republics of Central Asia, which according to Fierman (2009) did not exist “as distinct entities until the 1920s” (p. 1207), were created as countries and nationalities within their existing national borders. Along with nation building, the Soviet authorities introduced policies aimed at standardizing titular languages which were part of the approach, as Fierman remarks, to bring together “territory, population and language” (p. 1207). The creation of new written languages and alphabets were among the primary tools of those policies. In the initial stages of establishing the Soviet rule, the new authorities did actually promote the introduction of Latin alphabet for the Central Asian Turkic languages. There were several reasons for that move; one main reason was the belief that the use of Latin instead of Arabic script would help weaken the traditional ties with the outer Islamic word. In addition, Latinization, on a greater scale, fit the Bolsheviks’ idea for the worldwide proletarian revolution. Their print media was proclaiming in support of the idea: “Together with the victory of the proletarian revolution, the Latin alphabet will win. And it will become an international alphabet. But in the struggle for socialism, communism, the Latin alphabet in the hands of the victorious proletariat is already playing a leading role.” (Belogolovyj 2009, p. 230). 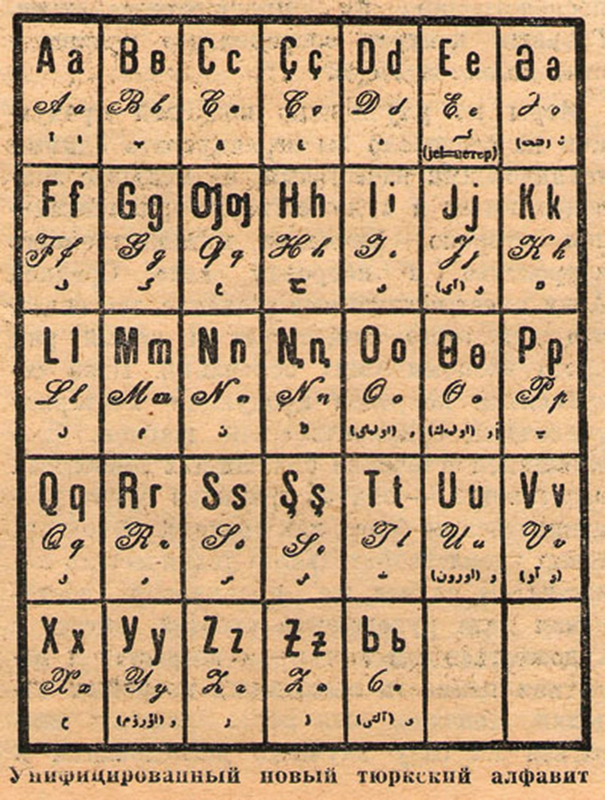 On the other hand, the direct introduction of Cyrillic alphabet, as an alternative to Arabic, could have been too early because there was still opposition to the new rule in the newly formed national republics. To speed up the process of switching to the new writing system, a new executive body titled the All-Soviet Central Committee of the New Turkic Alphabet was created to develop and introduce a new Turkic alphabet in Central Asia and Azerbaijan. It should be noted here that Azerbaijan, of all countries, was always at the forefront of this movement. For instance, according to Winner (1952), the country already attempted to introduce Latin in the middle of the nineteenth century, and it later hosted the first meetings of the Committee and the first Turkological congress. Azerbaijan was also the first to introduce the Latin alphabet officially, whereas for other Central Asian republics, it took a bit more time and effort. The first Turkological congress in 1926 in Baku made some important decisions, with the main one to eliminate the old and reformed Arabic script and subsequently to adopt the Latin alphabet by all Turkic-speaking republics. As Uzman (2010, p. 51) states, the “congress also considers that the transition to, instruction and implementation of the new alphabet is the duty for every republic and people in each and every Turkic republic.” Thus, the congress officially declared the beginning of the new era for those nations. After endorsement by the congress, the processes of transition and implementation did actually speed up. In 1928, the four Central Asian republics, Kazakhstan, Uzbekistan, Kyrgyzstan, and Tajikistan (which is the only Farsi-speaking among its Turkic neighbors in Soviet Central Asia), formally introduced the common Latin alphabet that shared a series of common features. This important move of alphabet change coincided with another landmark event. Turkey, under the leadership of Ataturk, in the same year adopted a new alphabet too. Turkmenistan joined other republics a year later. There seemed to be an overall agreement that the new alphabet suited the Turkic phonemic system better; although in Tajikistan some argued that Latin enhanced dialectal differences between modernized Tajik and standard Farsi. In spite of a visible unanimity among the countries involved, the transition to the new alphabet presented some challenges as well. For instance, there was a clear resistance from some delegates at the first Turkological congress (Sharifov 2007) who were in favor of the Arabic script; yet this opposition was outnumbered by the vast majority. In addition, it also coincided with a movement that previous books in Arabic script, particularly the religious ones, were prohibited and ultimately destroyed. Winner (1952) outlines some further problematic issues that had to be addressed urgently. Firstly, it was creating new grammar books for local languages. Another one was the actual printing of those books. There were some other technical and logistical problems because the facilities were lacking and there was a very limited number of technicians who would be familiar with the Latin script. Finally, Central Asian countries, each at their own pace, were slow in transitioning to the new alphabet as each preferring its own version of Latin, which may not have quite corresponded to the New Turkic Alphabet. However, the unified Latin alphabet or Yanalif overcame the challenges and was finally introduced (Fig. 1). Thus each republic started to use the new alphabet with some slight adaptation to the peculiarities of their national languages. It is especially evident from comparing early publications in Latin script from the perspective of different writing systems now. An example for a brief analysis could be a snapshot of a 1937 news issue which editorial is dedicated to the new Constitution (Fig. 2). Firstly, one can notice specifically created signs that are not present in traditional Latin alphabet (e.g., Ь, Ƣ, etc.) but are parts of Yanalif. In addition, some words’ spelling may not quite match their phonetic pronunciation (e.g., Atqaruv vs. Atqaru in modern Kazakh); other similar examples include Presijdym, Konstijtutsija, and Komijtet, which reveal the sounds that are not common today. A sound that is not typical to Kazakh (albeit used in many common borrowed words) and which later became Cyrillic Ц (-ts) is spelled interchangeably either by just S (Redaksija) or TS (Konstijtutsija). Similar patterns could be observed in another illustrative example from that era in a propaganda poster on horse farming in Uzbek language (Fig. 3). According to Landau (2010, p. 26), any alphabet change “is, of course, a complicated matter, demanding coordinated efforts directed by the top strata of the government and its agencies along with the mobilization of public support and participation.” Therefore in spite of all tensions, challenges, and limitations, it can be concluded that introduction of the new script combined efforts of all involved and played a key role in development of the newly formed Soviet republics at that time. It should be noted that the low level of literacy in populations at the initial stages of nation building actually helped make the transition to the Latin alphabet relatively fast and smoothly. Introduction of the new script coincided with the USSR-wide campaign to eradicate illiteracy (likbez) among youngsters and adult population. This campaign was indeed a huge achievement of the Soviets, because it successfully eliminated one of the most burning social issues at that time. Moreover, Latinization has vastly contributed to increasing the overall educational level of the population in the region. In its turn, the increase in education greatly facilitated the development in every field and walk of life in the national republics of the USSR. It should also be emphasized that the whole process of transitioning to the Latin alphabet was completed in a quite well-organized manner. The initial plan of action was applied and completed step-by-step. satisfaction that the opposition of the Arabists had been effectively broken…. It was reported that all the republics were now carrying out the unification programme; the new alphabet had been introduced into almost all the municipal schools in the Central Asiatic republics and a new body of teachers had emerged who, having learned to read and write in short-term intensive courses, were imparting the NTA in rural areas. (Winner 1952, p. 142).